Speaking my language is a skills development programme comprising a year-long integrated Portuguese or Mandarin language and cultural competency training package for Arts and Humanities doctoral and early researchers across Scotland. Marrying the expectations of language acquisition with the internationalisation agenda, ‘Speaking my language’ recognizes the need for researchers in the modern world to be global citizens, confident in their ability to contribute positively to an increasingly globalized society and able to take leadership in the sharing and exchange of advanced knowledge and skills on a global stage. ‘Speaking my language’ is directed to Arts and Humanities doctoral students or early career academics, irrespective of the subject matter or methodology of their research. There need be no link between the research topic and China or Brazil. The programme recognises and responds to the implicit benefit of having some language competency in Mandarin and Portuguese, and familiarity with Chinese and Brazilian culture, irrespective of the focus of research. ‘Speaking my language’ offers 28 doctoral students or post-doctoral early career academics the opportunity to undertake a short but intensive introduction to either Mandarin or Portuguese. This residential course will be followed by supported distance learning. 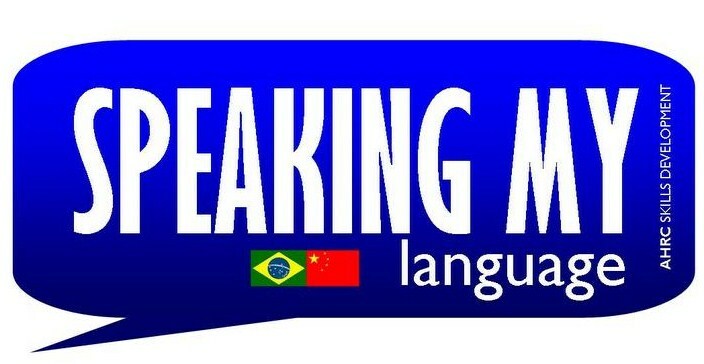 The language instruction will be embedded in a range of activities aimed at developing knowledge about the histories and cultures of China or Brazil (through, for example, Chinese and Brazilian cooking and food, music, film, literature and art). Students accepted onto the programme will complete a 3 week residential language programme (Mon to Thur, 15 October – 1 November), with Portuguese delivered at the University of Glasgow, and Mandarin at the University of Edinburgh. Following the residential programme, language learners will continue to develop their language skills through supported on-line learning for the duration of the programme. All travel, overnight accommodation and subsistence costs will be met in full. The language learning will be accompanied by other activities (e.g. film viewings, dinners. music). Students who complete the language learning programme will have the opportunity to apply to spend up to one month in China or Brazil during the summer period of 2013, completing a study trip planned around their particular interests or needs (for example, time spent studying museum or gallery artefacts; enrolling on a summer school in Beijing; spending time at an arts festival, etc. etc.). The choice of activity is student-led, though students will receive support from academic staff in creating an appropriate visity programme. Students accepted on to this final stage of ‘Speaking my language’ will be supported by funding of up to £2000. Led by the University of Glasgow, ‘Speaking my language’ is supported by seven universities across Scotland, and welcomes applications from doctoral students or early career academics working in the Arts and Humanities and based at these institutions.